I’ve been with my employer for over seventeen years now. I interviewed for my first job with them back in 1997 (I started out as a contractor in ’96), and have since moved on to different positions in different departments. What is interesting is that as I moved from group to group, I never interviewed for the positions in those groups. Rather, through varying circumstances and specifics, I was selected to move into new positions along the way. The one position in which I learned and grew the most – managing production database administrators for almost ten years – came about because of a hallway conversation. I was with a peer of mine walking the hallways on our way back from lunch. Her friend (my eventual boss) was walking in the opposite direction and stopped to talk to her. I kept going to my desk, and my coworker joined me there about ten minutes later. Lee and I started a new small group this morning at our church. The group meets at 6:00 AM, but that’s not the crazy part. What is really eye-opening, to me at least, is the group is entitled, “30 Days to Understanding the Bible.” Lee and I have done many small groups before, but they’ve always focused around a book we’d all read and discuss together. It was more book club and very much less Bible study. The group we’re in this semester, however, is full-on Bible study. As we dove into the the book (written by Max Anders), one phrase caught my attention. “We are not sinners because we sin, rather we sin because we are sinners.” That’s a powerful statement, and one that paints a picture, to me at least, of everyone in the water trying not to drown. Some are able to tread water better than others, their faith and obedience support them and help keep them better afloat. Others drown under the weight of their sinful nature. Still others struggle, often finding calm, often finding panic, always in need of life line. And that is what Jesus is for us, the life line. He is the ultimate life saver. We need to remember that no one is in the boat. No matter how holy, spiritual, or religious a person may be, we’re all sinners in need of the Lord’s redemptive salvation. But the experience that is a faith journey does not end once we catch the ring that will keep us from drowning. Instead, that moment is one in which we’re called – better yet, compelled – to turn around and cast that life saver to someone else who needs it. And you never know whose life you will impact with your words and actions. You never know who may have an “a ha” moment with regards to giving their life to Christ simply because you chose to share your story with them. 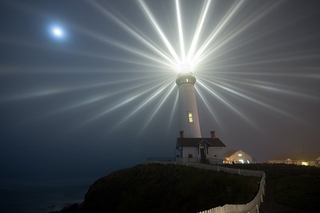 We are called to be beacons of light to those who are living in darkness. 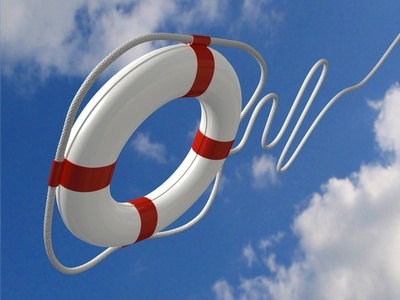 We are called to take our drowning neighbor’s hand and help them grasp the life line. We are called to give to others what God has so graciously given to us. And although you may not know it, you’re always ministering to the next follower. Thank you for the continues support, CJ. Very insightful post, Gil! Some excellent wisdom in your words! Thanks, Mark. Hope all is well with you overseas. Keeping you in our prayers.